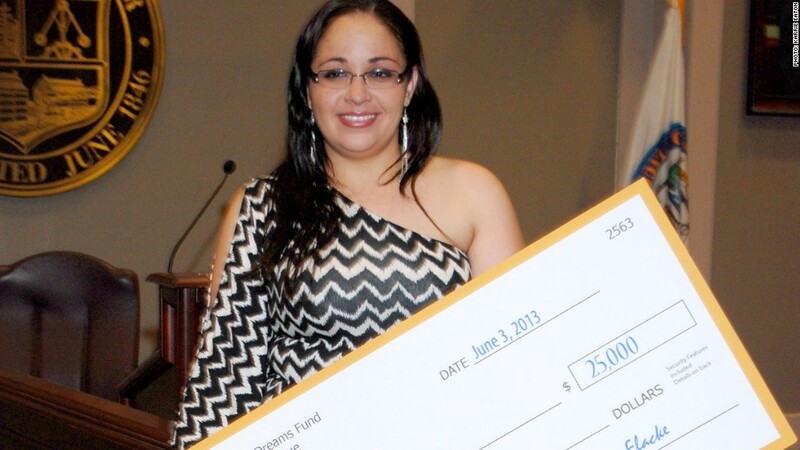 Lilly Roman won $25,000 last year by saving a portion of her tax refund. A new lottery created by nonprofit Doorways to Dreams Fund aims to encourage people to save rather than spend. For every $50 of your tax refund you tuck away in savings, you receive a chance to win $100 during one of 100 weekly drawings, along with a chance to win a $25,000 grand prize. To enter the Save Your Refund lottery, you need to request that at least $50 of your refund be put into a basic savings account, an IRA, prepaid card, savings bond or CD using Form 8888 when you file your taxes. In order to be eligible to win the grand prize, you also need to submit a photo that illustrates your savings goal -- like a picture of a tropical island where you hope to take a vacation or a new car. This photo is the key to winning the big money -- while the weekly prizes are selected randomly, the grand prize winner is chosen by a panel of judges based on the photo. Save Your Refund launched last year, with more than 750 participants saving almost $1 million. Single mother Lilly Roman took home the grand prize, which she put toward bills, medical expenses and savings for her three children. She found out about the program at a free tax filing center, and forgot she entered the sweepstakes until she received a call telling her she'd won $25,000. "My dad was actually over and scratching a lottery ticket, and I told him he was wasting his time because only rich people win," said Roman. "And right then, someone [from the Doorways to Dreams Fund] called and said I won $25,000. I said, 'you're kidding me right?' and thought it was some kind of scam, but it turned out to be a huge blessing." This year, 2,300 people have already saved nearly $2 million from their tax refunds, and $5,800 in prizes have been given away during the weekly drawings. While the sweepstakes is open to everyone, it is especially meant for low-income families, says Joanna Smith-Ramani, a director at the Doorways to Dreams Fund. It's not always realistic for families living paycheck to paycheck to save every cent of their refund, but saving even a small portion is better than nothing, she says. "For many low-income families, their refund is the single largest paycheck all year," said Smith-Ramani. "For that reason, it's a chance to catch up on necessities like bills, but we also want to change that from not just catching up but to getting ahead." If you're chosen as a winner, you need to send a copy of Form 8888 to Doorways to Dreams to prove that you have saved the money. Winners of the weekly drawings are announced each week from February 7 to April 11, and the Grand Prize winner will be announced within 30 days after Tax Day, which falls on April 15. This isn't the first time the Doorways to Dreams has experimented with lotteries to encourage people to save. Over the past few years, the group has been partnering with credit unions across the country to offer prize-linked savings accounts, where customers are given the chance to win up to $25,000 simply by saving money in their accounts. 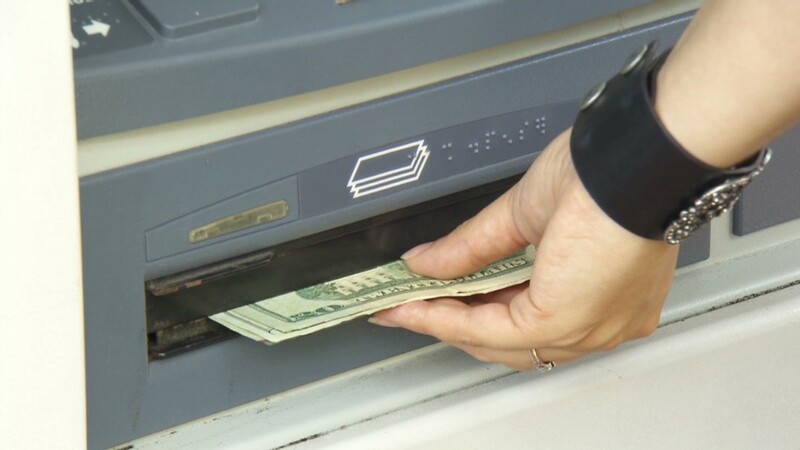 Because of the success these bank accounts have had -- with customers saving more than $70 million so far -- the group thought expanding the idea to tax refunds was the next logical move. "Families particularly strapped for dollars often look for quick and easy ways to get an extra injection of money, such as buying a lottery ticket," the organization said. "SaveYourRefund encourages families across the country to channel the same motivation that drives lottery-ticket purchases into new motivation to save."